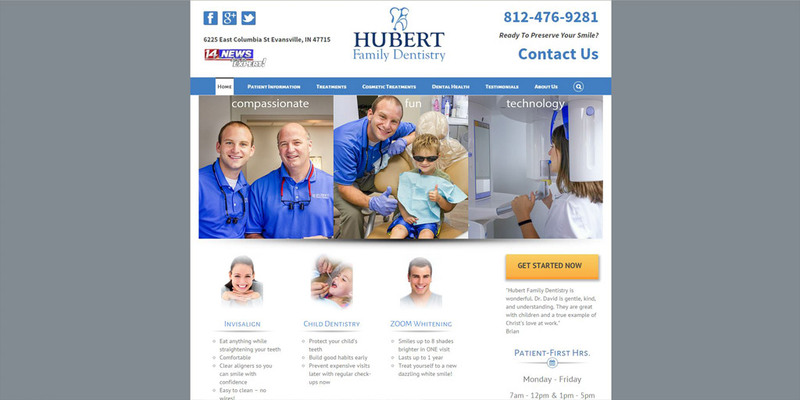 Hubert Family Dentistry offers care for the whole family. Their practice is on the east side of Evansville near the Lloyd Expressway off Burkhardt Road. That makes it convenient to Evansville and Newburgh. The offices are in a new building designed to provide a comfortable and relaxing environment for your family.